We are a team of dedicated parents, grandparents and advocates, ready to do what ever it takes to support the MWS community and their families. Deborah Curry has been employed in the construction industry for more than 30 years. Her current position is as an estimator for Desert Truss, LLC. She has held several management positions. She has served on the board of directors of several organizations, mostly relating to the construction industry. Her grandson, Chase was diagnosed with Mowat-Wilson Syndrome in April, 2003. She has been very involved with his care and with raising awareness of MWS. 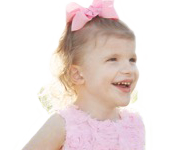 She is the founder of the Mowat-Wilson Syndrome Foundation. Karen is the grandmother of four beautiful children, including Addison, a loving little girl who was diagnosed with Mowat-Wilson Syndrome in 2013. Karen is a retired RN with a work history including labor and delivery, newborn nursery and public health. She holds a Master’s Degree in Nursing from Oral Roberts University with a concentration in Nursing of Children. Her undergraduate work includes a BSN from the University of Tulsa and a BS in Chemistry from Mary Washington College. Karen’s desire is to support families of children with Mowat-Wilson Syndrome and increase awareness among health care providers to facilitate earlier diagnosis and comprehensive treatment. I am the grandmother of a little boy, Logan, who was born in 2010 with Mowat-Wilson Syndrome. He is such a joy and a blessing! He is dearly loved by his family and their friends. His various medical struggles prompted me to become a founding member of the Mowat-Wilson Syndrome Foundation. I graduated from the University of Tennessee with a degree in microbiology. I am a certified medical technologist with work in both hospital, research and corporate settings. In addition, I have training in logistics and customer service with Kimberly-Clark Corporation. My desire for this foundation is to be the best resource for families affected by Mowat-Wilson Syndrome. In addition, we want to raise awareness and support research and education for Mowat-Wilson Syndrome. I am the mother of Zoe, who was diagnosed with Mowat-Wilson Syndrome when she was 21 months old. Zoe is an amazing, determined little girl, and my husband, Mark, and I are extremely proud to be her parents. She has an older sister Hayley, who she adores and the feeling is mutual. For the last 12 years I have been a professional Hairstylist, but my main passion and focus is being a stay-at-home mom. As a volunteer for the Jewish Federation of Greater Hartford, I am one of the Co-Founders of The Pearl Society, an organization focusing on Jewish women who want to make a difference in Greater Hartford, Israel and in the Jewish Communities worldwide. I’m a graduate of the University of Tennessee with a BA Degree in Biology. For the past 37 years, I have been employed in the pharmaceutical industry, mainly focusing on sales, marketing and leadership development. I also have the opportunity to work closely with physicians and other healthcare practioners, providing support for patient care and education. My current position is Sr. Vice President for Meda Pharmaceuticals. My grandson Logan was born in January, 2010 and diagnosed with Mowat-Wilson Syndrome about 8 months later. He has an amazing ability to cope with his challenges, all while keeping a wonderful smile on his face. It is that personality that helps me keep life and what’s important in perspective. I firmly believe in the need for the type of support the Mowat-Wilson Syndrome Foundation strives to provide and I hope to use my relationships in both the medical and business communities to advance the goals of the Foundation. Mother of Jonathan, a child with Mowat-Wilson Syndrome. Jessica is a senior associate and design manager and is Mercer’s lead branding representative for MMC. Jessica is one of the founding members of Mercer’s business resource group for Accessibility and Inclusion at MMC companies. AIM’s mission is to be a voice for support, education and awareness around issues faced by the disability community, internally and externally. Mother of an adult daughter with MWS. Has Master’s Degree in Early Childhood Special Education. Worked as an Early Intervention Teacher and adjunct professor of Special education at East Stroudsburg University (currently retired). Works with disabled orphans and provide trainings for parents and providers of children with disabilities in Eastern Europe. Active in local Special Needs community and activities. Regional contact for Mowat-Wilson Syndrome Foundation. Mother of Isabella, who was born with Mowat-Wilson Syndrome in 2003. Board member, educator and director of marketing of the Spiritist Society of Bridgeport and TriState Spiritist Federation, non-profit organizations dedicated to study and dissemination of Spiritism based on the works of Allan Kardec. Former board member of Bodie’s Place, a non-profit organization that built and maintains an all-accessible playground in Milford, CT. Member of the marketing team for North Sails, LLC. We were told from the day Parker was born that he had some sort of genetic abnormality and he was tested for everything. It wasn’t until he was 8 years old, in 2009, that we finally got the diagnosis of MWS. Before Parker was born, I had lived a life on stage and screen and I still keep my feet wet by occasionally working as an actress. I also was a full time elementary school teacher and when Parker was born, I went to part time so that I could get him to therapies and doctor’s appointments. Nine years ago, we left the state where my husband, Leo and I had spent our lives and moved to North Carolina so that I could spend all my time caring for Parker, our only child. I have since, taken to writing books about my boy and someday hope to finish these. My desire for serving on the board is to help other parents, especially the newly diagnosed find their way through all the information and get some direction of where they need to go next. It was so confusing for me and I hope to make it less confusing for others. Wendy and I are the parents of Christian and Justin. Christian was diagnosed in June 2015 when he was 23 ½ years old. I have worked for the Barre School District for 17 years and am currently the Network Administrator. For the past 10 years I have taken game pictures for the families of the Norwich Men’s Hockey team’s (2017 D3 National Champions). For the past 7 years I have also been the official Barre City Fire Dept. photographer. In our free time, we are avid music lovers. We attend a lot of concerts throughout New England including larger shows like Billy Joel and Elton John. We have attended 49 - 1964 The Tribute shows since 1996. I think Christian is their biggest fan! John and I are the proud parents of Christian. He was diagnosed with MWS at 23 1/2 years old. Christian, along with his biggest supporter, best friend, and brother Justin completes our family’s square! After being a stay-at-home mom for 7 years I volunteered at Barre Town Middle and Elementary School working with K-3rd graders needing additional help in reading and math. Once Christian’s medical needs were better managed (2002), I accepted a paraprofessional position working in special education, one-on-one with special needs students. In Vermont, we practice full inclusion where disabled/special needs students are integrated into the regular ed classroom. I continue to be challenged and rewarded in this position. My everyday life experiences, both at home and at work, have allowed me to build a better toolbox to accommodate both Christian and the students I work with. My hope is that with my 25 years experience as an MWS mom, that I can share my knowledge with other young families and bring hope to their future. I am mom to Natalie who was diagnosed with MWS in 2015 at 11 months old. Along with her sister, Amelia, the girls keep me on my toes! I became interested in being on the board of MWSF during the 2017 MWS Family Conference. I realized I want to help more. I want to help welcome and reach out to newly diagnosed families, with emphasis on the children and adults with MWS and also the parents who are new to the special needs world. The MWS support group on Facebook has been a large part of my and my husband, Chris’, coming to terms with Natalie’s diagnosis. I would like to help ensure that anyone who joins this family has the support they need and knows that they are not alone. I am formerly employed as a research technician at the National Institutes of Health and I hope that my research background may assist with MWS research going forward.